The Section 184 Indian Home Loan Guarantee Program is a home mortgage specifically designed for Native American and Alaska Native families, Alaska Villages, Tribally Designated Housing Entities (TDHE’s), or Tribes. These loans can be used, both on and off native lands, purchase of an existing home, for new construction, rehabilitation, or refinance. Because of the unique status of Indian lands being held in Trust, Native American home ownership has been a historically underdeveloped market. Working with an expanding network of private sector and tribal partners, the Section 184 Program strives to provide private funding opportunities and increase access that Native Americans can have to capital for tribal housing agencies with the Section 184 Program. To help increase Native access to financing, the Office of Loan Guarantee within HUD’s Office of Native American Programs, created the Section 184 home mortgage loans and made them available to Native Borrowers. HUD has made it possible for lenders to serve Native Communities both on and off the reservation by providing this guarantee. This increases not only the marketability and value of the Native assets but also strengthens the financial standing of Native Communities. Section 184 is synonymous with home ownership in Indian Country. Since January 2012, the Section 184 program has guaranteed over 15,000 loans (approximately $2.5 billion dollars in guaranteed funds) to individuals, Tribes, and TDHEs. • Credit is Important, but you are not judged on your score. • Low down payment (can come from savings, tribe, or gift). • Affordable fixed interest rates. • Purchase, Refinance, Debt Consolidate, New Construction, or Remodel/Renovate. • Manufactured double-wides and Modular homes are allowed. • Debt to income ratio is 41%. • Down Payment is 2.25% (Purchase Price > $50,000) and 1.25% (Purchase Price < $50,000). 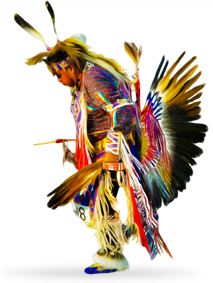 • Fee Simple/Deeded Land, Tribal Trust, Individual Allotted Trust Land and Restricted Fee Lands are allowed. • Max mortgage limits vary from state to state and county to county. See map of approved areas on the resource page.